Sweeten the cream with the sugar and bring to the boil, stirring frequently. Remove from the heat and add the Parmigiano Reggiano Grated Cheese “Cascine Emiliane” and continue to stir until the cheese has melted completely. Leave the mixture to rest on the coldest shelf of the fridge for 5 hours, then place in the freezer for at least 5 hours. 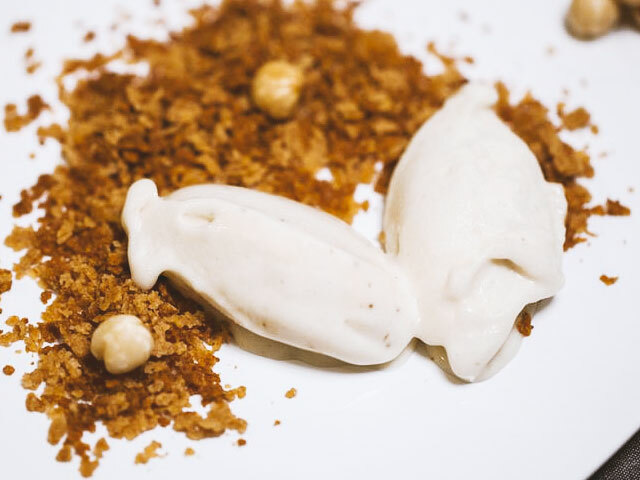 One hour before serving, move the ice cream to the fridge, and serve in individual dishes garnished with a sprinkling of chopped hazelnuts.